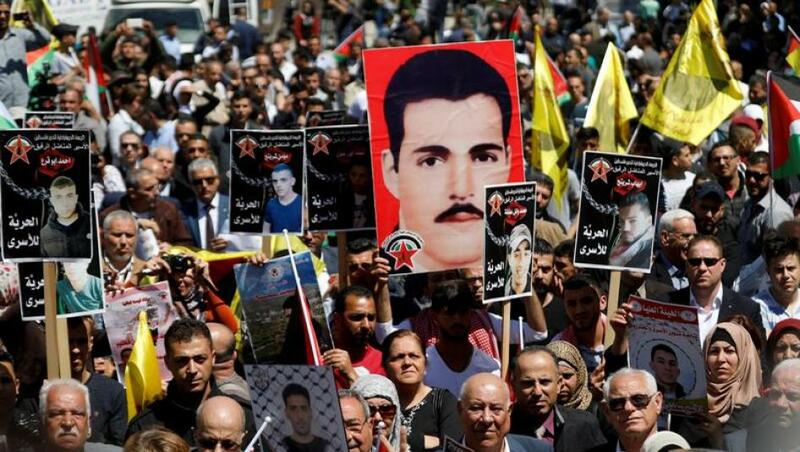 On April 17, 2017, Palestinian Prisoners’ Day, over 1,000 Palestinian prisoners launched a hunger strike in protest against their severe conditions of incarceration and other violations of their human rights. Their demands comply with international human rights and humanitarian law, and echo those calls made in previous hunger strikes, including the mass hunger strike launched in 2012. Nevertheless, since the declaration of the strike, the Israel Prison Service (IPS) has taken various punitive actions against the hunger-strikers, including placing prisoners in solitary confinement and preventing them from meeting with lawyers. On 4 May 2017, the IPS was compelled by the Israeli Supreme Court, following a petition, to grant permission to lawyers to meet the hunger-strikers; this decision is currently being monitored by human rights organizations. These measures stand in direct contradiction of the 2016 Concluding Observations of the UN Committee Against Torture (CAT), which has called on Israel to “guarantee that persons deprived of liberty who engage in hunger strikes are never subjected to ill-treatment or punished for engaging in a hunger strike” (para. 27). Although visits are currently permitted, the IPS limits them to only two 45-minute visits per month. Family members from Gaza, as well as some from the West Bank, have been denied entry permits and therefore have been prevented from visiting their relatives in prison. In addition, the International Committee of the Red Cross (ICRC) has recently reduced the support it provides for family visits. As a result, large numbers of prisoners and their families are not able to complete these two short visits per month. The right for prisoners to maintain a family life is enshrined both in international and domestic Israeli law, while the Geneva Conventions emphasize the importance of frequent visitation. The quality and range of healthcare services available to prisoners held in Israeli prisons and detention facilities are considerably lower than those provided to the general population in Israel. Further, the IPS and the Ministry of Internal Security administers the health care system in prisons, rather than the Ministry of Health. Extremely long waiting times to see specialist physicians are standard and few periodic medical examinations are available. Certain treatments such as physiotherapy or treatments for hepatitis that are supposed to be available, according to the IPS’s own regulations, cannot be accessed in practice because of budget limitations. Prisoners classified as “security” prisoners by the IPS are additionally hampered by their inability to complain about medical neglect: they are not allowed to use a telephone or send letters, and many do not receive regular visits by family members or lawyers. Their isolation prevents them from informing external actors about complaints relating to their medical condition and other violations of their human rights. Israeli law allows for prisoners to be held in solitary confinement, including in circumstances that are not technically termed solitary confinement, but replicate its conditions. Although the Mandela Rules - the UN Standard Minimum Rules for the Treatment of Prisoners - issued in 2015, affirmed that the use of solitary confinement for more than 15 consecutive days violates international law, the partial data that Israel has published on the matter (and which relates only to one mechanism of solitary confinement) indicates that it routinely uses solitary confinement for much longer periods of time. According to data released by the IPS in July 2015, 63 prisoners – accounting for 54% of all prisoners being held in solitary confinement at that time – had been held in solitary confinement for six months or more. Of these, nine were being held under an IPS “separation order” that is used for the claimed purpose of “protecting state security”, often based on secret evidence. The CAT concluded that Israel should ensure “that solitary confinement and [isolation] are used only in exceptional cases as a measure of last resort, for as short a time as possible and subject to independent review, in line with international standards” (CAT, 2016 Concluding Observations, para. 25). The undersigned human rights organizations emphasize that the prisoners’ demands are just, reasonable, and grounded in international law and agreements governing the treatment of prisoners and detainees. They further stress the dangers associated with the IPS’s punitive measures taken against the hunger strikers. The organizations further stress the grave and concrete risk that, as the hunger strikes proceed, attempts will be made to compel striking prisoners to undergo medical treatment and for IPS doctors to force-feed prisoners against their will, in accordance with Israel’s “Force- Feeding Law”, enacted in July 2015 in violation of international law and medical ethics. Reports of a field hospital set up for hunger strikers in Ketziot prison are worrisome, as treatment within the incarceration system and away from public scrutiny heightens the likelihood of violations of human rights and medical ethics. The recent email sent by the Ministry of Health, requiring Israeli doctors who refuse to force-feed to find replacement physicians who will agree to do so, is likewise contrary to international law and medical ethics. The undersigned human rights organizations hereby call on the international community to urge Israel to cease its ongoing, systematic human rights violations against the hunger-strikers, and to comply with their just demands regarding family visits, access to medical care, solitary confinement, and to end the use of administrative detention.